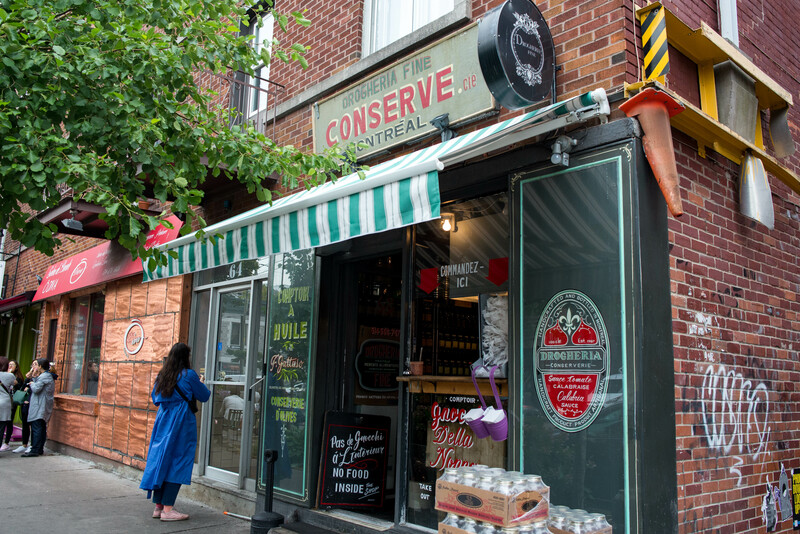 Montreal is so much more than bagels and poutine. 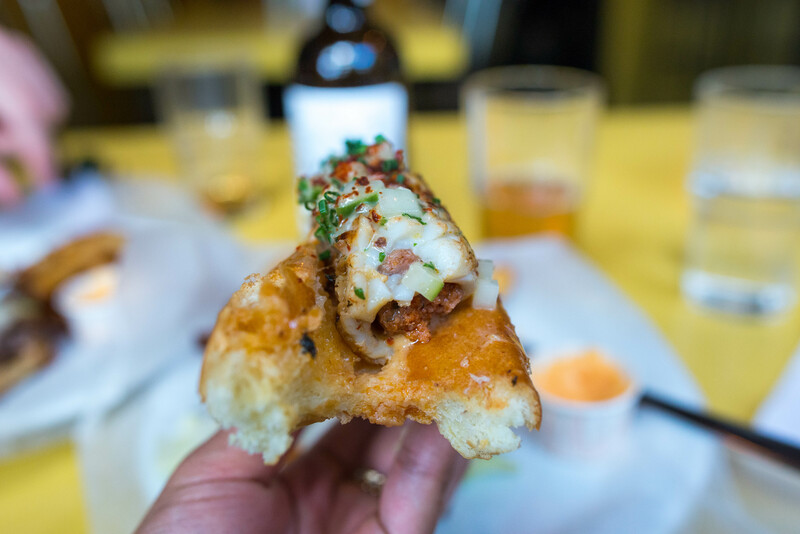 That said, you can’t miss out on some of the best from St. Viateur and Fairmount Bagel’s. 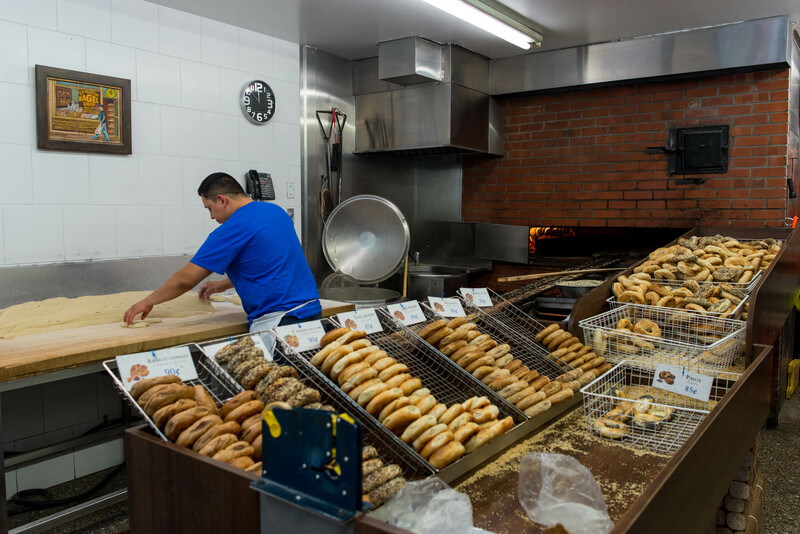 These are made around the clock 24 hours a day so you can always find a fresh one at one of the many St. Viateur locations around Mile End. But for my favorite, Fairmount pulled ahead in the race with just a touch chewier and sweeter dough. 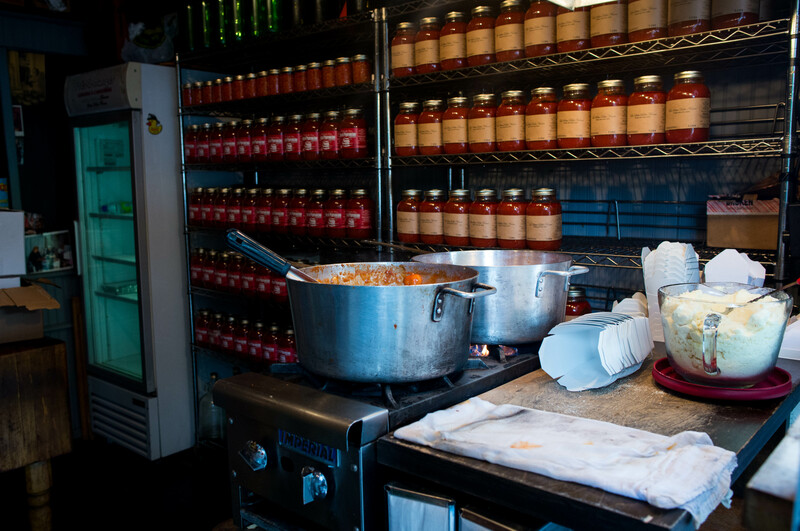 The wait at Fairmount can be brutal at times but the best part is being able to discover a red sauce joint right next door, Drogheria Fine. The bottles after bottles of the homemade sauces might be hard to bring back with us to the US but we definitely indulged in a container of the delicious pillowy gnocchi covered in that delicious sauce. 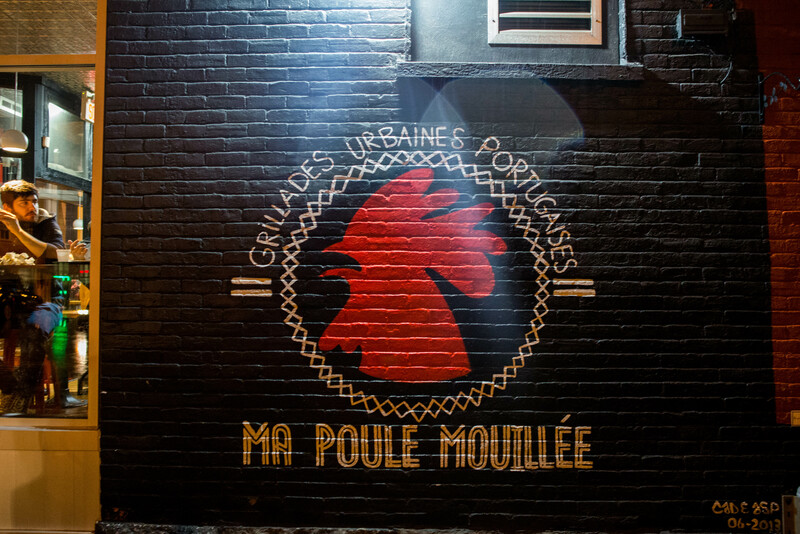 As for poutine, La Banquis might be the most famous one but if you don’t want to wait in line, check out Ma Poule Mouillee right across the street. 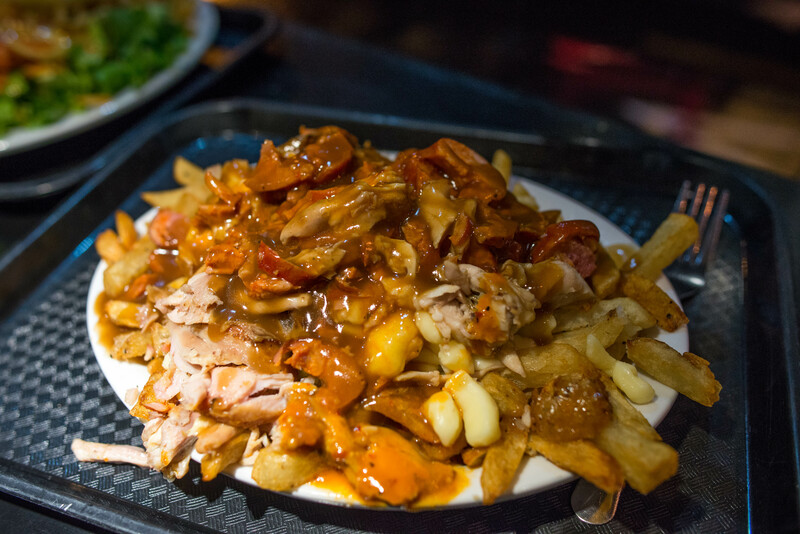 This casual Portuguese style restaurant has a delicious secret hidden on the menu of rotisserie chicken and that is an enormous plate of fries topped with dark meat chicken, chorizo, and cheese curd all enrobbed in rich gravy. 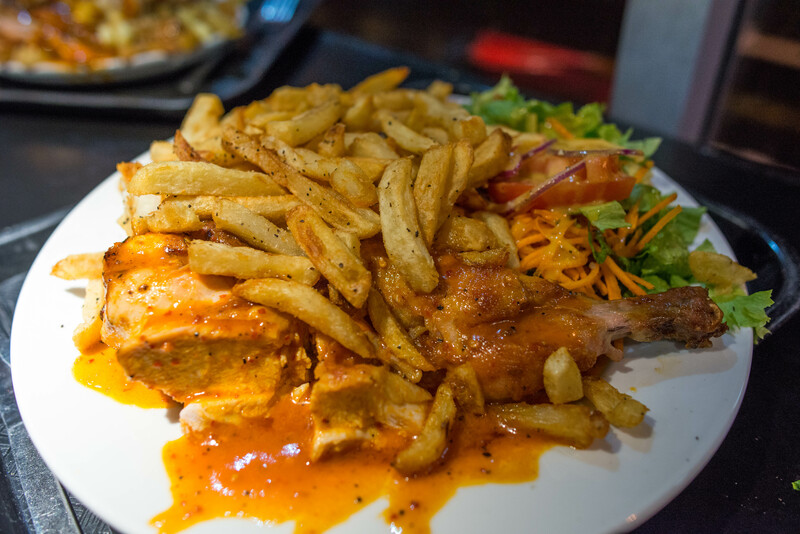 And if you are in the mood for more than just fries for dinner, the chicken platters here are possibly the best deal in town. 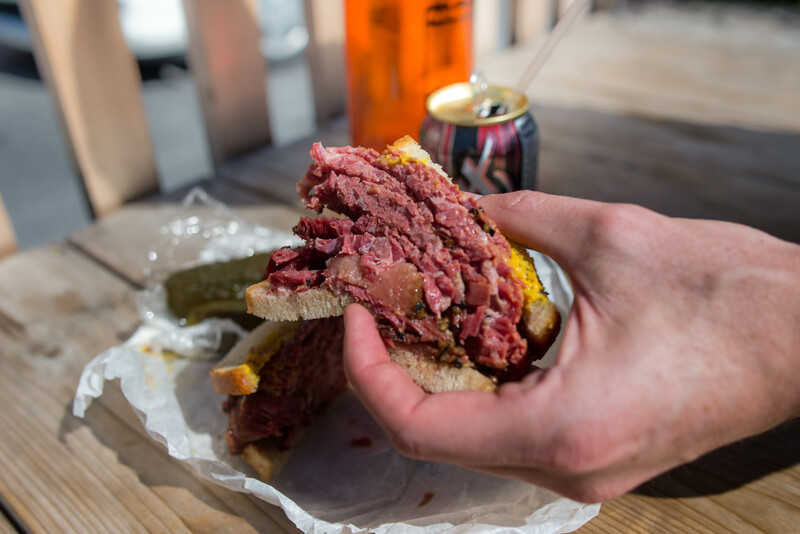 As for other must eats, Schwartz’s should be on the Mile End food crawl. 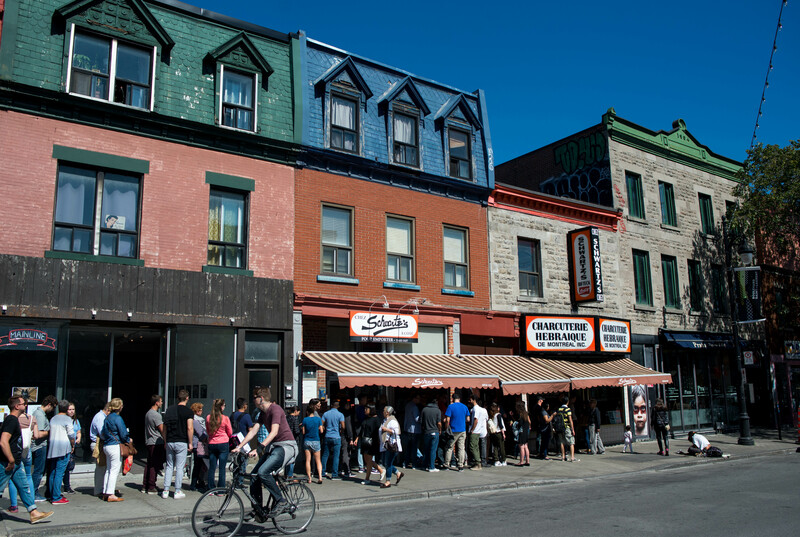 Of course, the line can be daunting at the famous smoked meats shop but the key is to order everything to go and steal a seat at the benches across the street to enjoy the fatty salty overstuffed sandwich. 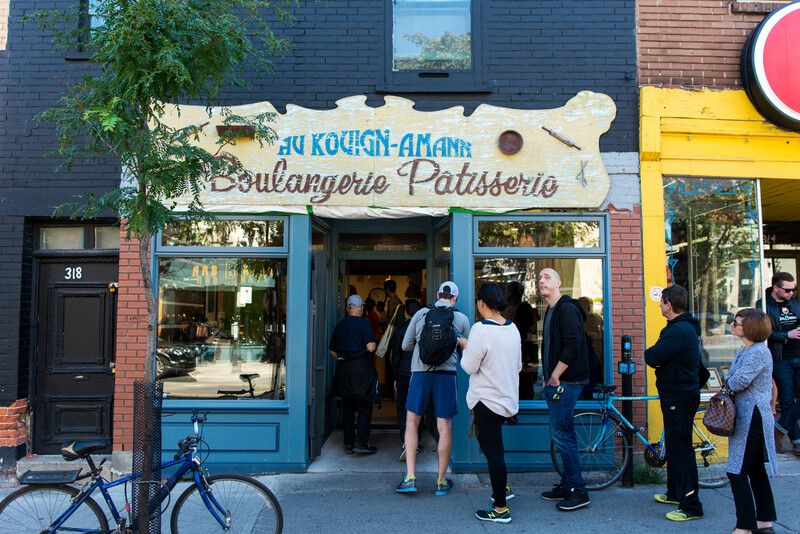 Another favorite spot of mine in the Mile End neighborhood is a little bakery Patisserie Kouign Amann. 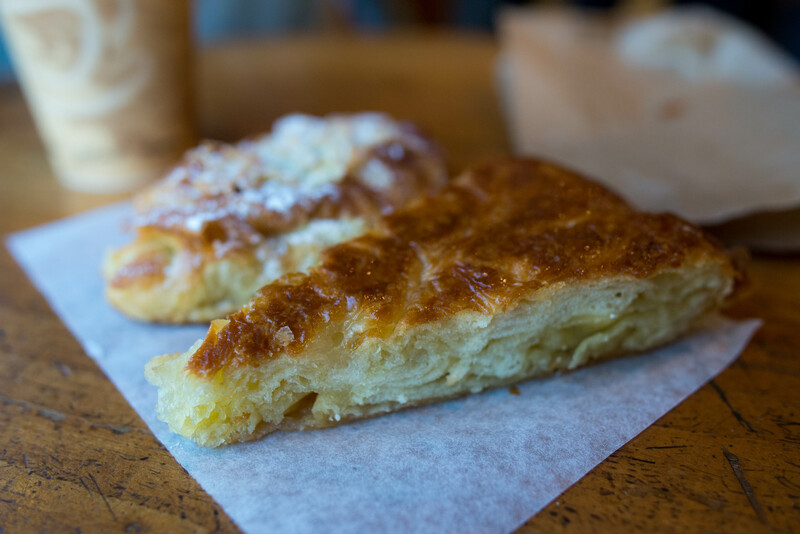 This unassuming spot was the first place that introduced me to kouign amann so many years ago and I am forever grateful. Get there early to avoid the line (why is there always a line?) and hopefully you will get slice fresh out of the oven. Buttery and decadent, this lightly sweetened breakfast pastry was so good that we went back for another immediately after. 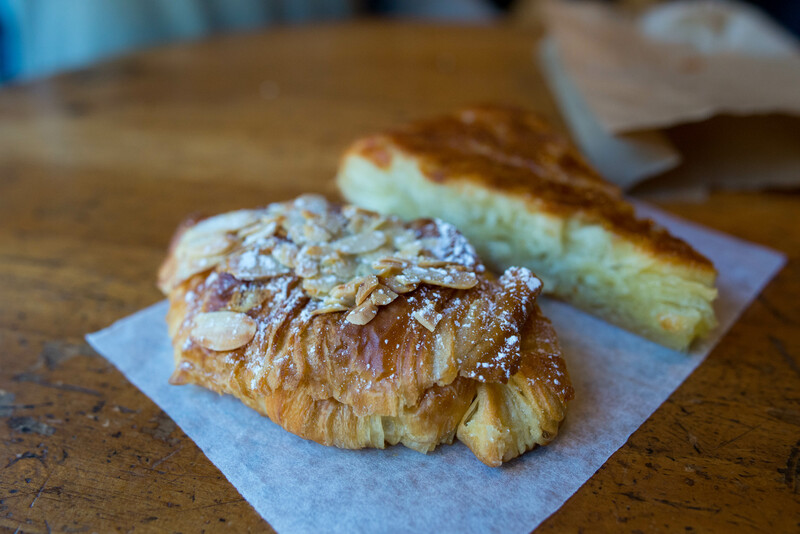 Of course, the almond croissant there is also a beauty so don’t miss out. 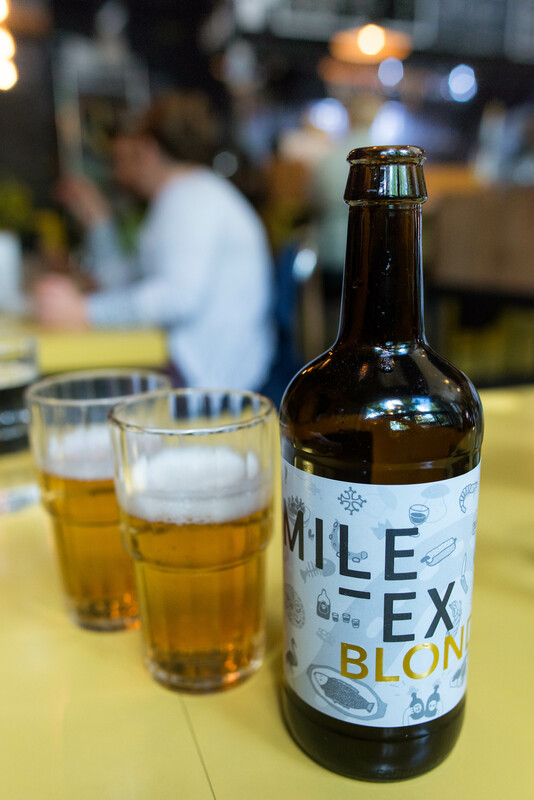 And finally, if you are in the mood for some of the best burgers (and who isn’t), please stop by Mile-Ex. 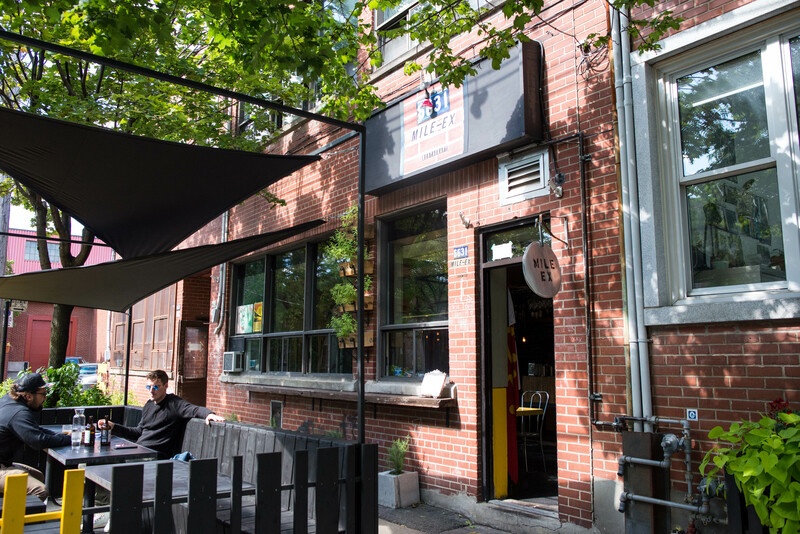 This causal hip neighborhood spot is a great place to stop by for a beer and a bite to eat. 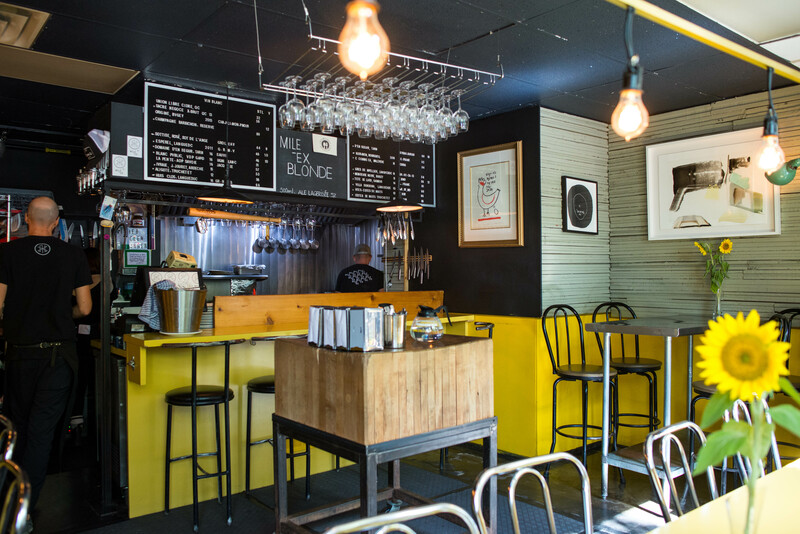 Located on a quiet street in the neighborhood tucked just west of Little Italy, Mile-Ex focuses on sophisticated street food and boy does it do it well. The Motherf *** er burger comes in single, double or triple. As hard as I petitioned, we ultimately settled on a double for a happy medium. The fatty unctuous patties were accompanied by crispy salty bacon, pickles, melty cheese and spicy mayo. 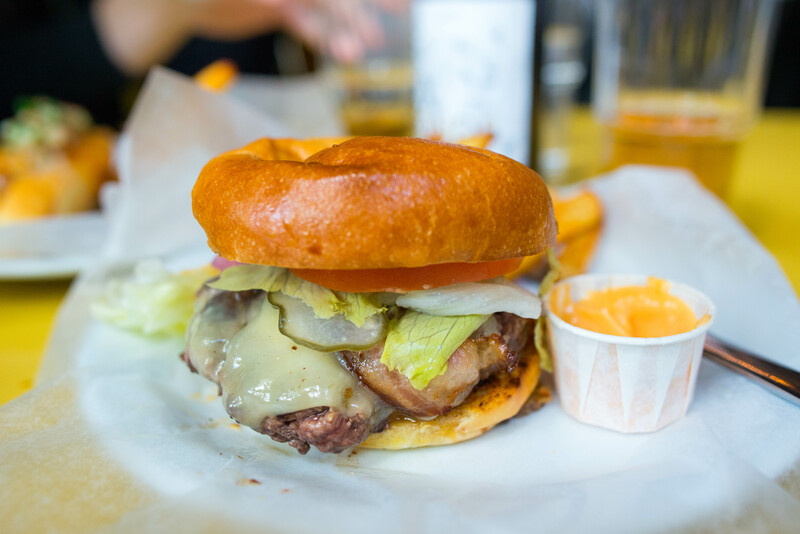 It has the signature of a perfect burger and did not disappoint. 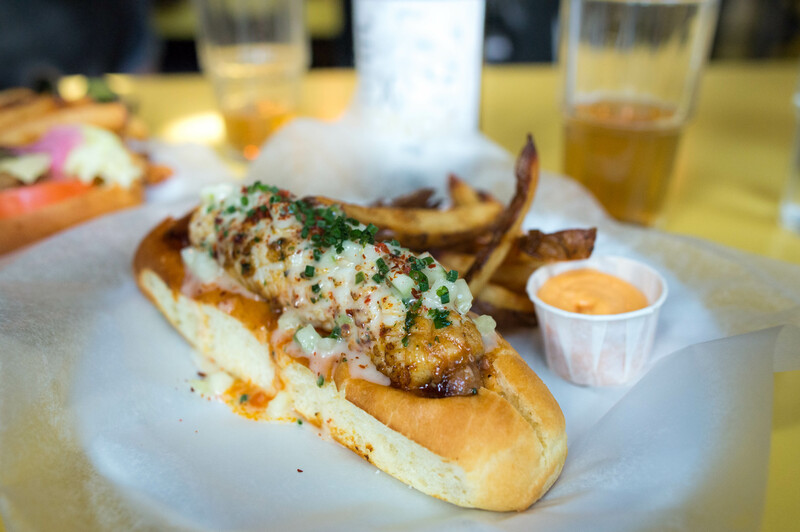 Saving room for the grilled squid and merguez roll was a smart move. 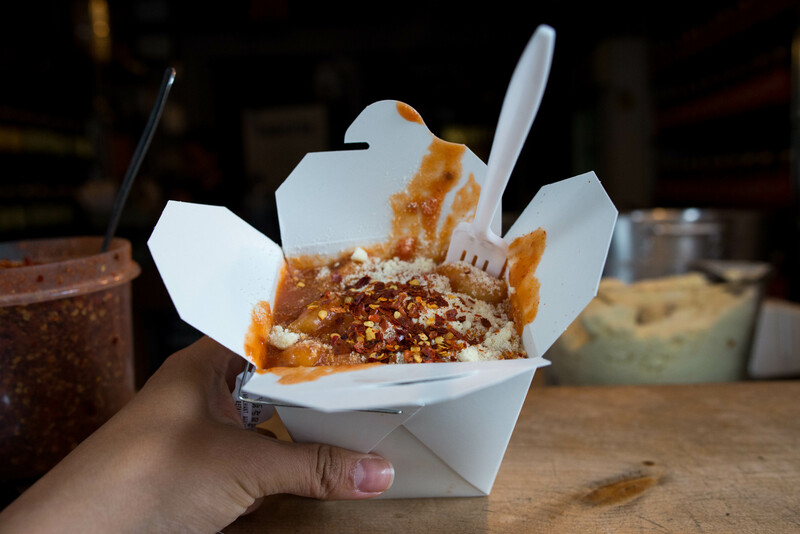 A spicy merguez came wrapped completely with lattice cut squid, fooling the eyes initially. Now this is brilliant twist made for a fabulous hot dog that we inhaled quickly, munching in between bites on fantastically fried hand cut fries.